Legendary for its more than 400 wineries and numerous Michelin-starred restaurants, Napa Valley is also welcoming to families with children and teens. “It’s not just about the wines or an adult-only destination,” says Mike St. Jovite, a Bay Area travel advisor with Protravel International. The same Mediterranean climate so conducive to grape growing—warm, sunny days followed by cool evenings—enables visitors of all ages to enjoy the outdoors. Each of the cities and towns along Route 29—the 30-mile stretch of road traversing the valley from Calistoga in the north to American Canyon in the south—are family-friendly. With traditions of hospitality dating back to the mid-1800s (when a hotel first opened in Yountville), the area offers many choices for relaxed lodging and dining. Located about 60 miles from San Francisco International Airport, Napa Valley is perfect for exploration by car. Unless you hit traffic (yes, this is California), distances between attractions usually are manageable, even for fidgety passengers, and there are plenty of places to park, leave the car and explore. Since there is no hop-on, hop-off bus, get an overview of the region by boarding the Napa Valley Wine Train. The restored 10-car, 140-seat antique Pullman train departs from downtown Napa (the Depot is near the Oxbow Public Market) traveling north to St. Helena before the locomotive is switched to the opposite end for the return. During the three-hour ride, guests enjoy gourmet lunches or dinners prepared in the kitchen car while capturing glimpses of Napa, Yountville, Oakville, Rutherford and St. Helena through oversized picture windows. The seasonal open-air Silverado car is especially popular with families. For a memorable aerial view, glide over lush vineyards on a colorful hot air balloon operated by family-owned Napa Valley Aloft Balloon. Balloons launch from the V Marketplace (Yountville) and accommodate children as young as six—as long as they’re tall enough to see over the side of the basket. As a real place where people live and work, Napa caters to families. For younger children, the nonprofit Scientopia Discovery Center (downtown Napa) offers hands-on science, math and art exhibits, encouraging kids to touch, climb, and run (indoors) even during the hottest hours of the day. Connolly Ranch is a 12-acre, nonprofit, working ranch where young children learn about the environment, farm animals and organic gardening. Families can visit as part of a monthly “Second Saturday” program. Nature lovers will enjoy Old Faithful Geyser of California (Calistoga), one of three “faithful” geysers in the world that erupts regularly. One of the most photographed spots in California, the property also has a farm with goats, sheep and llamas, and tables for picnic lunches. The valley’s vibrant arts scene includes galleries, museums, studios and outdoor exhibitions that are visually appealing even to babies in strollers. The 217-acre DiRosa art gallery (Napa) includes more than 2000 pieces of contemporary art by over 800 Bay area artists. Older kids love the rural setting with roaming peacocks, and the unusual sculptural displays indoors and outdoors, such as the hanging car. With more than 53,000 acres of land protected by the Land Trust of Napa Valley, Route 29 offers sweeping vistas of rolling hills, mountains and fields. There are places to walk, run, hike, bike and to explore the surrounding Mayacamas and Vaca mountain ranges—to the west and east, respectively. At Robert Louis Stevenson State Park, find the statue of the famous author of Treasure Island and Kidnapped for whom the park is named and take a photograph in front of one of the majestic redwood trees at the nearby Petrified Forest. The Napa Valley Hiking website catalogues many appealing hiking trails. For families who prefer traveling on two wheels, portions of the 47-mile Napa Valley Vine Trail are paved for cyclists, and numerous hotels and tour outfitters rent bicycle equipment, including Napa Valley Bike Tours (Yountville). Some resorts—including the Carneros Inn (Napa), the Andaz (Napa), Hotel Yountville (Yountville), and Solage Calistoga and Indian Springs (Calistoga)—provide complimentary bikes with suggested routes. Another neat option: Don a helmet for a two-hour long guided historic tour with Napa Valley Segway Tours (downtown Napa). The wetlands along the Napa River Bay Trail (American Canyon) offer birdwatchers views of raptors, pelicans and sandpipers. Kids can burn off excess energy at one of many public parks, including Pioneer Park (Calistoga), Crane Park (St. Helena), Yountville Park (Yountville) and Fuller Park (downtown Napa), which has a state-of-the-art play structure with benches nearby for weary adults. Rabid wine lovers with kids may want to hire babysitters at some point during their stay but many wineries welcome families. Check ahead because minimum age requirements vary. Especially appealing to children and teens, for example, is Castello di Amorosa (Calistoga). Kids over the age of five can enter the authentic 107-room castle that has a moat, drawbridge, torture chamber and defensive towers. As part of the tour at family-friendly Sterling Winery (Calistoga), guests can board a gondola (aerial tram) to soak in stunning views of the winery and vineyards. Kids are served grape juice while grownups taste wine. For families with teens who want to combine winery visits with exercise, Stony Hill Vineyard (St. Helena) sponsors by-appointment “Hike through the Vines” tours of the 160-acre property led by the proprietor and her dog. Clif Family Winery (St. Helena) and the Calistoga Bike Shop jointly offer Velo Vino bicycle excursions and Sip N’Cycle tours. Napa Valley Vinters has catalogued the list of family-friendly wineries. You would take great pains to not eat well in this cradle of working farms, vegetable gardens, farm markets and farm-to-fork restaurants. To cultivate an interest in eating healthy, interesting foods, families can tour the campus of the Culinary Institute of America (St. Helena) and stop at the campus gift shop (for right-sized chef hats and aprons, cookbooks and child-friendly utensils) and the Ghirardelli Chocolate Discovery Center. Gott’s Roadside (St. Helena and downtown Napa) is a retro-style burger joint, known for fast food made with high-quality ingredients. Grab a seat at the outdoor picnic tables and try the Niman Ranch hotdogs or organic ice cream. Pizza is always a favorite. For fresh ingredients and a casual setting, try Redd Wood (Yountville) and Pizzeria Tra Vigne (St. Helena). To enjoy innovative Mexican fare, stop in at C Casa at the Oxbow Public Market for tacos, fresh salads, and house-made tortillas. For dessert, check out Kara’s Cupcakes, also at the market. Even elegant restaurants are willing to go off-menu, too, to keep kids happy. At celebrity chef Michael Chiarello’s Bottega (Yountville), special order the spaghetti marinara, rigatoni Bolognese or any pasta with butter and parmesan cheese. At Kollar Chocolates (Yountville), chocolatier Chris Kollar makes his signature creations behind a glass wall so visitors can see how they are made, often handing out samples. The Carneros Inn (Napa) is a luxury resort with residential cottages, one- and two-bedroom room suites, and villas that are ideal for families. Families can swim at Otto’s Pool, which has a separate children’s pool. For stargazing after dark, staff can set up a 4-inch Maksutov-Cassegrain telescope on your outdoor patio. Set on 1200 acres, Silverado Resort & Spa (Napa) has something for everyone: two championship golf courses, a putting green, 13 tennis courts, 10 swimming pools, a jogging trail and more. There are also summer camps for kids and teens, ages 6-10 and 8-14. For visitor guides and additional information, go to VisitNapaValley. Napa Valley is about 60 miles (1 1/2 hours driving time without traffic) from three international airports: San Francisco (SFO), Oakland (OAK) and Sacramento (SMF). *If you are headed to Napa, you’ll enjoy the slide show in Food & Wine describing some of the best wineries to visit on your trip. 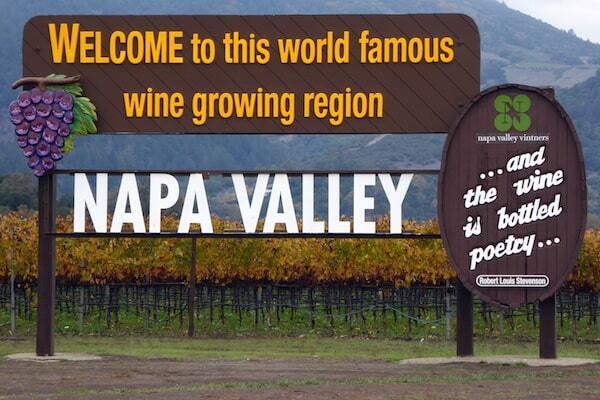 I always loved Napa – and after reading this, I’m reminded why. I must go back soon! There is so much to see and do that for the tourist, it’s a place to visit over and over! Napa Valley is much more of a multi-faceted destination than I have ever given it credit for. Thanks for exposing the family friendly nature of this place! Yes, it is a great tourist destination for singles, families, and couples! Napa Valley is very charming.Your topic is informative.I want to visit Napa next month.